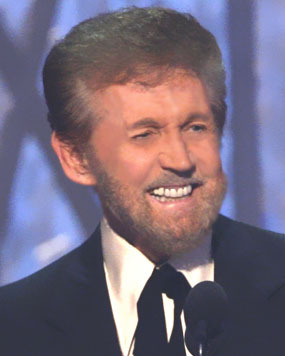 I only had the opportunity to see Sonny James in person once, And I’ll never forget it. He should have been inducted into the Country Music Hall Of Fame years before he actually was. Somehow, sometime in my lifetime, somebody has to remaster Sonny’s albums & make them available to the public. Growing up, my father had the “I’ll Never Find Another You” & “Need You” LP’s & I miss hearing them in their entirety but I want them all! Call me greedy but voices & songs like Sonny’s only come once in a lifetime! Hello Sonny James fans this is Adjutant Tim Howard of Hackleburg Alabama Post 165 the American Legion Department of Alabama I would like to invite each one of you for the naming of our post we currently have several names suggested and when we vote Sonny James is one of the names we will be voting on. We have composed a committee of our Post members and we’ll be looking forward to this great adventure our Post has never been named and on May 5th 2018 we will be having our regular Post meeting at the Hackleburg, AL rec center at 12 p.m. if you would like please show up at that time and voice your suggestions from our community as to who the Post should be named after we will take the names and promptly vote on it and make a decision within the hour of what our Post will be named. This is an exciting time for our Post and will solidify our existence as a department of Alabama American Legion Post you can go to Facebook American Legion Post 0165 Hackleburg Alabama friend request us and post your suggestions there if you cannot make the meeting. Thank you for your time and consideration in this we love Sonny James he is our hometown celebrity also feel free to come by US Highway 43 and 172 and take pictures of and look at our Korean War Veteran Sonny James Memorial that we dedicated back in July 2017. Today, I learned that his dear wife, Doris has joined him in Paradise. May they rest in peace. My condolences to his family and close friends. This site is a tribute worthy of our man. My compliments. There’s bound to be more secret wonders about The Southern Gentlemen and the Man that can eventually be added to honor all. Tried, albeit unsuccessfully, to pull up evidence of Sonny’s impromptu and momentous appearance on the Tennessee Valley Old Time Fiddler’s Convention but so far no luck. Yet. I am so sorry to hear of Sonny’s passing. My mother, Bea Rhodes Hitt, knew Sonny and the entire Loden family back in the early 1940s when they were all playing on KLCN in Blytheville, Arkansas. Mom’s brothers, Slim, Speck and Dusty Rhodes, later had a TV program that aired on WMCT-TV in Memphis, and Sonny was on their show from time to time. Some of the Loden family member may also remember the younger two Rhodes girls, Ruby and Jeffie. Ruby is the only one still living. I last talked to Sonny and Doris on March 20, 2000 at my Uncle Speck Rhodes’ funeral. All members of the Rhodes family will greatly miss him. We wish those left behind, peace and comfort. I want to thank Gary Robble and Milo Liggett for the time they took to visit with me a couple of weeks ago. The stories of Sonny and the Southern Gentlemen is a story that cannot be lost to time. Someone should make a tribute album for Sonny. 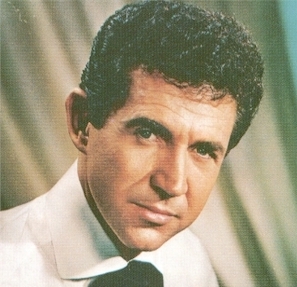 Sonny James, from 1960 my big favorite. Always be happy with his songs, though they sometimes sad. Delicious clear pure voice that I never get used to. I have approx. 400 songs, of which I turn 180 times. Too bad when there are few videos, I still have more than twenty. Sonny, THE Southern Gentleman now. R.I.P. What a performer and friend. I first met Sonny in July 1979 when he played The South Carolina Peach Festival in Gaffney. Every year after that up until 2014 I always received a Christmas card from he and Doris. Particularly this time of year I miss him. 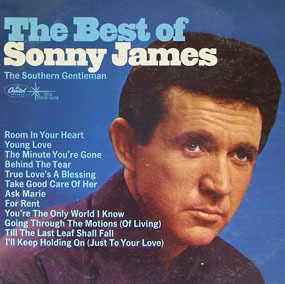 A true Southern Gentlemen, Sonny James. Sonny James’ songs touched people around the globe in a very special way, and they also reached me in Germany for the very first time through AFN back in 1971. His unique, beautiful voice and the great lyrics of his songs were “right” for people all around the world and in every situation life has to offer. What Sonny has never had a chance to learn was, in 1971 his beautiful songs made me wish I could understand their words, their meaning. Back then I spoke practically no English at all. Yet his songs “compelled me” to sit down and write the lyrics down the way I thought they were spelled – we all know that this wasn’t am easy task -, then look them up in an old, by now worn, dictionary until I got it right. 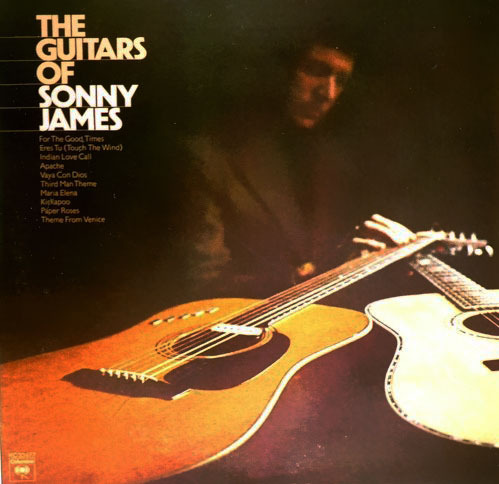 It took a long time, yet my “teacher”, Mr. Sonny James, kept releasing new songs – or old ones which I had then heard for the first time, so that I could not stop learning through his heart-warming music. Only a few years later I became a professional translator for English and German… thanks to my wonderful “teacher”, Mr. Sonny James. RIP, Sonny. You will always be remembered. 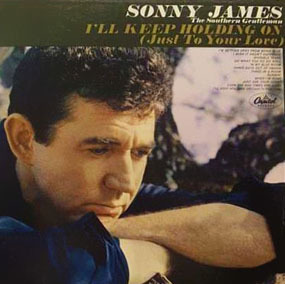 Sonny James love songs were such an integral part of my husband and my relationship in 1958 when I was his Young Love. Circumstances parted us but we found each other again in 1973 and Sonny’s music was still part of our love story with I Love You More and More Everyday. It is ironic that we listened to You’re the Reason in 1958 and then That’s Why I Love You Like I Do in 1973. Same song just different title and tempo and arrangement. I would never have dreamed when my husband and I heard the news of his passing in February 2016 that in June, 2016 I would be saying good bye to the love of my life. My book AGAINST ALL ODDS (We Found The Perfect Love) parallels how country music love songs defined our unique love story. Thank you for this website. A wonderful tribute to a wonderful singer, we’ll miss him, but his music will live forever. I think someone should produce a tribute album with some of Sonny’s greatest hits it would be a great way to honor him and some good ole country music from the good old days. I met Sonny in 1953 in Dallas, Texas where he was performing on the Shindig Show. I was 14. I became a super fan of Sonny. He was always kind and never said no when I wanted a picture. We did get to become friends over the years. In later years I took my two children to see him and he remembered me. Always asked about my mother. About six years ago I came across some pictures and I sent them to him. He replied with a very nice letter and still remembered some funny stories from the “Shindig” days. He was truly a great person and of course a great singer. I had all his early recordings and his albums, etc. until the tornado in December. It took everything. No more records, pictures, etc. Thank goodness for places where I can get and listen to his wonderful voices. So on this birthday I know he is in a better place. I was sorry to hear of the passing of Sonny. I used to run the SONNY JAMES APPRECIATION SOCIETY in England in the 1980,s. I will carry on playing Sonny’s records forever. Thank you Mr. James for making my grandmother’s dream come true by meeting you and getting a picture with you at the Jacksonville Veterans Memorial Coliseum in the 1970s. I really appreciate you for taking the time out of your busy schedule to make her wish come true. 1: He would not play within 100 miles of where he played prior that year and this practice kept attendance at his shows up. 2: He always changed guitar strings after every show had a guitar case full of strings. 3: Never did a show where alcohol was served and at fairs it must be kept outside the crowd area. He mentioned these things on his bus when he went to see my mom at the nursing home in Peoria. I was “Tony Boy” to him and truly a gentleman so loved his Doris. Truly a man who was full of love. I have been a fan of Sonny since i was in high school in the 1960’s. I was so moved by the beautiful Memorial Service. Sonny will always be in my heart. Thank you to his wife and family for sharing this wonderful caring man and christian thru his entire career. He will be forever missed. But heaven has welcomed someone very special. God bless his family as they grieve and may our heavenly Father give them peace and comfort. The World Lost a GREAT ENTERTAINER, Hackleburg lost their native son, one who lived the title to the end, a TRUE GENTLEMAN ” SONNY JAMES “. I am now 60, I was introduced to Sonny’s music in 1965 I was only 10yrs old, back then there was no tapes only records, every time I was able to save some money I would search for Sonny’s records in music stores, I resided in Chicago. There was a friend that I had known that was into country music, and knew I was so impressed with Sonny’s songs, the friend came by and said to me, Roland there is a show coming soon called shower of stars and guess who will be one of the artists ? When he told me Sonny James will appear I begged him to take me, I was not even 11yrs old, the friend was about 17, by the way he became my best man at my wedding when I was 20. This magical moment came and I first saw this tall gentleman outside the theater, it was on Wabash Street by his bus that read on top, SONNY JAMES, and my friend Tony said to me this is the star, it was SONNY, young no beard back then, he was speaking to fans, other stars were there like Ferlin Husky, Johnny Paycheck, Tanya Tucker, Jerry Lee Lewis, and quite a few others. But I was there to see SONNY, not to prolong SONNY was incredible on stage, I fell in love with his voice , in his choice of songs, and the music to say the least. Remembering Doris and Sonny in my prayers. When I was finishing writing my soon-to-be published novel The Nation’s Hope, country music legend Little Jimmie Dickens passed away. I was able to quickly insert a tribute to Little Jimmie. 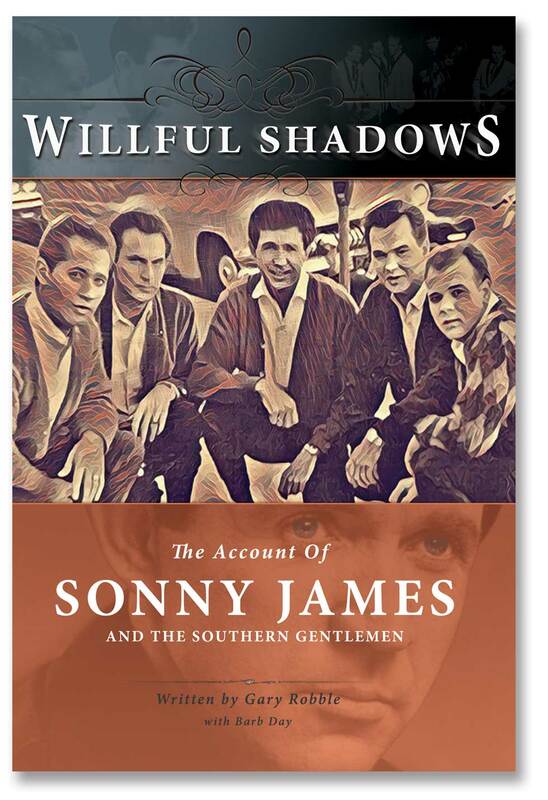 Now while working on my next novel, Sonny James has passed. I don’t believe there is a connection, but just to be on the safe side, the Country Music Association should petition me to stop writing. The best indicator of my affinity for Sonny occurred many years ago. In April 1972 while Sonny was in the midst of his incredible string of number 1 hits, he was scheduled to perform at the Shady Grove Music Fair in Gaithersburg, Maryland. I was a student at Georgetown University in Washington, D.C. at the time. Being a student, I had no car and minimal funds, but was able to scrounge up bus fare and ticket money. Sonny appeared along with Ray Price, who was riding the crest of the recently released For the Good Times, and Faron Young, who had issued It’s Four in the Morning. As much as I enjoyed Ray and Faron, I was there for the Sonny segment of the show. And Sonny was every bit as spectacular as I’d imagined. The problem was when the show let out, it being a Sunday, the inter-city buses had stopped running. As noted above, I did not have cab fare and was dutiful to Mom who had inculcated in me the dangers of hitchhiking (confession, I did try to thumb a ride but apparently looked too seedy). So with no alternative I walked back to my dorm, at least until I got to the nearest D.C. Metro bus stop—all 18 miles of it! (Go ahead, Mapquest it, if you like). I am a big walker, but that was a bit much. It took me three and a half hours, some nasty blisters on my feet, and considerable scuffing of my dress shoes. But you know what? I would gladly do it again, to see the Southern Gentleman. Dear Sonny and Doris, We were a young married couple… you all were a decade or two our senior, but that didn’t seem to matter at all. We played cards with Edsel and Jo, Clyde and Al, and just had a barrel of laughs. You know, all that while I knew you were in entertainment but didn’t grasp, until the last several years, all of the contributions you made to people’s lives through your music. We certainly had no idea that some day you would be inducted into the Hall of Fame. It didn’t matter… you and Doris were the everyday, wonderful people you were. No pretense… never. When our little boy died your reach was immediate—-filled with love!!!! When Ross came, it was there again—-we still have the silver cup, brush, and comb you gave him engraved with his name. We love you both. Doris, our love and prayers go out to you and your family. We pray that God will comfort you in only the way that he can. We lived close to the Loden family in Hackleburg, and we shopped in their store, and as a small girl, when we went in the store, Pop would let me sit on his knee and he would give me candy and bubble gum. My brother in law was in Korea with Sonny. (His son David Yielding) has shared some pictures of Bruce and Sonny on the Fans of Sonny James page. Love to you always and God Bless! Thanks for this opportunity to send our condolances. Today, as the funeral service was in its final moments in Hackleburg Alabama, as an instrumental from “The Guitars of Sonny James” filled the high school gym, the funeral directors rolled away the flag draped casket containing Sonny’s earthly remains. Two of the original remaining members of the Southern Gentlemen in attendance immediately strolled along behind the casket as it was rolled down a long hallway. It was a subtle reminder that they had backed him up for many years and were taking the final walk with him. They went as far as they could go; as far as any of us could go. What a powerful image seeing those dedicated friends of Sonny James, the Southern Gentleman. Thank you for sharing the memorial service to all of us that could not attend in person… RIP Sonny James. Doris, my sincere condolences to you on the passing of your husband Mr. Sonny James. Sonny was a great entertainer.His voice is and will always be that makes a person feel every mood, happy or sad the past and the future of every feeling their heart has ever felt. I hope you take this as a tribute to Sonny because I always wished I could sing and play the guitar like Sonny. I have always known that wish would never come true no matter how hard I tried to make my voice sound like his. I know that there will never be another Sonny James, the man, the talent the music. I guess my favorite song is A World of or Own, he really makes those guitar strings smoke. It is hard to think about losing the person you loved for years, I wonder sometimes what I would do if I lost my wife and I guess the answer is love them till you see them again and relive the time and memories when we had them for awhile. Doris, my deepest sympathy goes out to you. Sonny was first a Christian, a great singer and entertainer and a faithful husband. When I first met him in Sunday school class at Peak & Eastside in Dallas I knew he would be successful. Best wishes to you and all the Shrode family. And may God richly bless and comfort you. From an old 87 year old friend in East Texas. Mr. Roberson’s comment on meeting Sonny at the Peak and Eastside Church of Christ in Dallas so many years ago brings back memories that my parents would talk about when they attended church there. I remember that they would talk about the singing in the service and the voice that always seemed to stand out. They had fond memories of that congregation when they were a young married couple. My condolences on your loss. Sonny was truly a southern gentlemen and someone I will always admire. We first met in 1966 during a show in Pittsburgh and our paths crossed many times over the past half century in Nashville and when he came to the Carolinas. His annual Christmas cards with his lovely Doris were highly anticipated every December at the Miller household.. He knows how proud I was to nominate and advocate his hall of fame candidacy in 2005 and he gave me much more credit that I deserved when he was inducted. Doris, please accept our condolences and deep sympathy on your great loss. I will think of Sonny and you together every time I play or hear one of his great songs. You are in my prayers. Godspeed Sonny…we will never forget you. 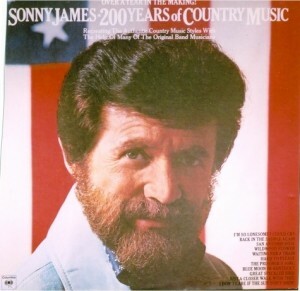 My dad was also born in 1928 and he absolutely loved Sonny James. He had several of his albums and I heard them over and over growing up. 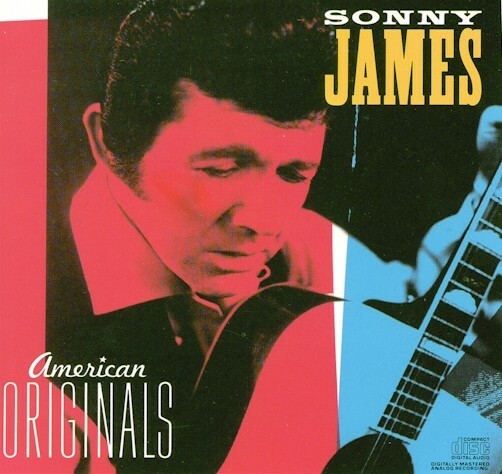 Dad got me hooked on Sonny James and traditional country music. I lost my dad 10 years ago and I still play Sonny’s vinyl albums from time to time. All the good ones are gone and we just lost a legend. Rip Mr. James. When I was young Program Director back in the 70’s and 80’s at Country 680 WCAW, Charleston,WV, Sonny never failed to send me personally autographed albums, Christmas cards with a picture of his home in Tennessee, and would give me a call out of the blue many times. He was one of the nicest people I have ever known. Not to mention one of the greatest musical talents of all time. Rest in eternal peace, Sonny. God Bless. Sonny will be missed very much. RIP. Prayers to the family. So sorry to hear of Sonny James passing. Prayers go out to the family. My heart goes out to the family, You will be missed I enjoyed your music so much. So saddened to hear of this passing. I did everything in my power to see him in concert throughout most of my young life. I loved this man’s stage presence, heartfelt renditions, and musical abilities. How I wish I could have known him as a person as well. Our condolences to the James family. As a side note for Sonny James, my father was Col. Stuart Roosa, Command Module Pilot of Apollo 14. As a special tribute to my father’s love of country music, Sonny James recorded a personal message and songs for my father’s mission. My father would often speak about the time that the crew was first arriving at the moon, they were setting up for a command module burn to go into trans lunar orbit. Alan Shepard said, “Stu, play a song.” My father grabbed a cassette tape and turned it on, it was Sonny James singing “How Great Thou Art” as they conducted burn. He recalls looking at the lunar surface, listening to the first verse and thinking, “how prophetic.” My father later presented a flow flag to Sonny James at the Astrodome rodeo telling this story in 1971. Having learnt the passing of Sonny, I want to remember him and my dear late friend Carol Ann Eviosic from Gary, Indiana, who was Prez of the “Sonny James & Friends Association” in the early 60’s. She was born in August 1, 1941 and graduated from Lew Wallace High School, Gary, Class of 1959. She was a close friend of Faron Young, Darrell McCall, Doris and Sonny James, The Wilburn Brothers. She liked Hummingbird … In 2010, Carol has sent me all the Sonny James’ pictures and postcards she had kept. She sadly passed away on May 2013 but being unable to contact her daughter Michelle I don’t even know the exact date. It hurts! She was a lovely Lady and a precious friend. Now she’s reunited with Sonny and I am glad to remember her with you. My sincere condolences went to Doris and family. Friends never die they just move in another world waiting for us. Sonny will be remember long after we will all have left that old world. He was a real Southern Cuntry Gentleman. I visited with Sonny 3 times during my C&W DJ days at KMOR-Salt Lake City and WSLR-Akron/Cleveland. He truly was a warm and gracious gentlemen, easy to chat with. He really enjoyed performing for the fans and put on a very solid performance every time. As a DJ, I liked it that his records were very ‘radio friendly’, they always seemed to be perfectly suited to the sound I was trying to establish during my shows. Thank you, Sonny. R.I.P. Him and his band were so kind to me on my 13th birthday. That meant a lot to this isolated country girl. So glad that my mom understood and took me to see concert. Sister Bonnie Smith now has Elvis, Marty, James Dean, AND Sonny… and plenty of time in Heaven to enjoy. So sorry to hear this but I am glad that he was surrounded by loved ones. He was such a role model and a big reason that I chose music to bring happiness to others. Sharing God-given Gift with others is your gift back to God. Sonny knew that his entire career and has HIS rewards now! One of the greatest voices has left us, and the world is sad this evening. However, his contributions to country music will live forever. As with the recently-departed Glenn Frey of the Eagles, we can enjoy Mr. James’ work forever. May he rest in peace. Thank you Art, your words are perfect, and my thoughts too. During the late 1960s and early 1970s, many of our friends and family were regulars at the annual TENNESSEE VALLEY FIDDLER’S CONVENTION held at Athens University campus in Athens, Alabama. On our first year we learned that Sonny James had, during a prior year TVFC event, made a surprise appearance on this popular fidler’s event stage. As it turned out, James’ utterly unanticipated appearance became a showstopper. According to our source, Sonny James had NOT been known as a ‘fiddler’ or violinist virtuoso, but rather for his well-known skill as a ‘pop country’ vocalist, bandleader and (somewhat less so) for his electronic studio wizardry. This totally unanticipated occasion occurred at the close of the Tennessee Valley Fiddler’s Convention evening after all the contestants had performed. Sonny James entered the stage right at the close of it. The contest winner had not yet been announced. James, already a professional musician, had no desire to compete with his fans. James was introduced to the audience. There was a roar of approval. After the cheering subsided, James casually picked up his violin, aka ‘fiddle’, and placed his bow across the strings. What actually came out of that instrument was so unexpected, so ethereal and sensational, that it held the entire Athens university audience SPELLBOUND in rapturous disbelief. James performance was so pure and velvety-smooth that his instrument acquired a life of it’s own, transcending the idea of mere ‘fiddling’ to an entirely new plane. At the close of the performance, the audience reacted with such thunderous applause that it must’ve continued unbroken for two to three minutes – a very long time for ANY performer. After James’ first encore, the applause and whistles continued unabated. They quickly rose to a roar, begging James for still more. According to our source, the audience wouldn’t let him exit quietly. Sonny had to make at least two more curtain calls before finally exiting. 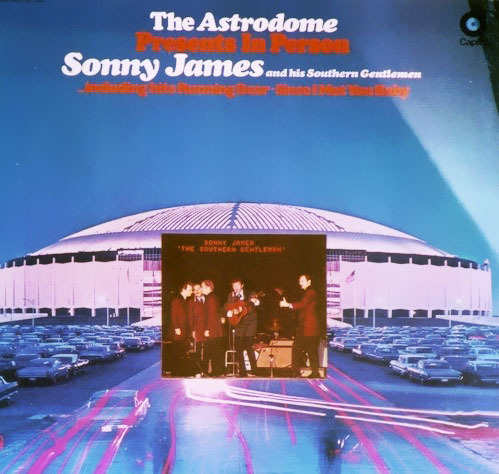 The undersigned has written the AU administration regarding whether or not anyone may have captured this once-in-a-lifetime Sonny James performance on tape, but alas, no one had any knowledge of anyone who had recorded that spectacularly momentous occasion. 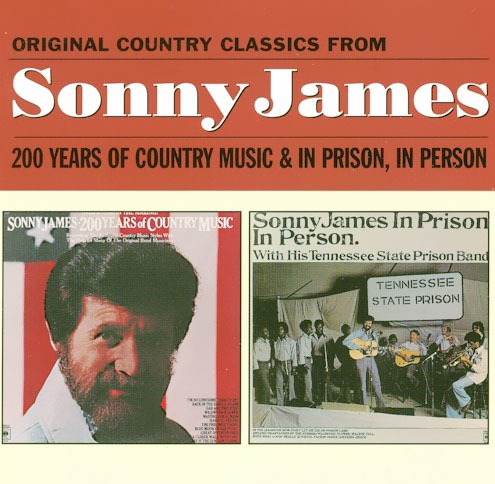 This is to issue an appeal to anyone having any knowledge of a recording that may have been made of Sonny James’ performance at the Tennessee Valley Fiddler’s Convention during the mid-to-late nineteen sixties at Athens University. Hopefully, with any luck at all, one will eventually be discovered so that this epochal moment in time will be preserved for all to share. Saddened to hear that another of my favorite country artists has passed away. May you rest in peace Sonny James. Thank you for all the wonderful music you’ve given us over the years. It was with great sadness that I learned of Mr. Sonny James’ passing today. He has left a lasting legacy for many reasons. We all easily recognize his unique and beautiful voice but this is not the real legacy. His real legacy is that of a kind and gentle soul that loved his family specifically and people with a genuine heart. I only met him in these last few months of his life, but all total, spent several hrs with him. The real loss is that he is one of the very few honest to goodness stars that did not let the business affect his soul. He was the best at what he did no doubt. 21 consecutive #1 hits is a very high water mark and I would dare say no one will ever approach it, but for me the real beauty of the man was his heart. In the hours I spent with him he NEVER uttered an unkind word about anyone or anything. He rarely even complained about his health. I would consistently stop in to see him with the thought that I may be able to cheer him and the fact was that the reverse always happened. I will forever be grateful that I had that opportunity and offer his family my heartfelt prayers and condolence for your loss. To the world of country music, that I am sure will have great big doins as a result of his passing, you have lost a truly beautiful and unique singer, songwriter and musician. Someone who has shown you all how it should be done; a real Country Gentleman. I wish I could have seen Sonny perform live. But I did get to see Sonny last year and everything that you could have heard about Sonny is accurate, A TRUE GENTLEMAN. I never get tired of listening to his singing. Young Love will forever be one of my favorite songs especially now as I share a feeling of “young love” with my special someone. One of the greatest singers of all time. I love listening to his music. He might of left this world but his music and kindness never will. Hoping someday someone will do a tribute CD to him. I am so sad to hear that Sonny James has left us for the time being. Just this past Christmas, my gift from my Dad was a copy of the Sonny James LP “Young Love” as released on the Hamilton label. I even have an autographed Sonny James album. I couldn’t believe it when I found it in a record shop. His signature was huge almost covered the whole back cover! So many musicians dying this year, it’s not fair! I was hoping we could have gotten to hear Sonny one more time but it was not meant to be. I’m going to keep playing his records for as long as I live. He’ll always be in rotation. If anyone has any unreleased recordings they can share that would be great, I would love to hear them! GREAT SINGER, GREAT VOICE!! BEAR RECORDS HAD A GREAT SET OF HIS SONGS. NEVER A BAD SONG. FANTASTIC VOICE. One of the all time greats. A voice that surely will be missed. God bless all his family, friends, and fans. I grew up with his music and he will be missed but never forgotten. A great Country Music Artist and man is gone, but not forgotten by any means. Sonny, we will miss you here in Nashville and in the entire Music Industry. Thank you for your many songs and hits as they have inspired me. 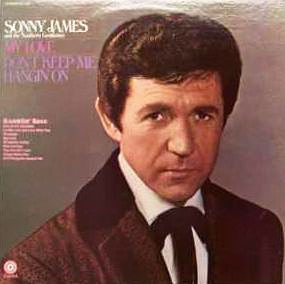 Sonny James has always been one of my favorite country artists. Just the other day I played some of his music on You Tube, and wondered what he was up to these days. My sincere condolences go to his family in this time of grief. I met Sonny at Lubys cafeteria in Nashville in 2000. I went to his table and ask for his autograph, no problem. I still have it. He wrote “to a friend in need of a prayer”. I had a table saw accident and my right hand was bandaged up pretty good. Of course I was a guitar player. He said you will play better when it heals up. He was right, I play better than I could ever imagine. His wife was present with him and made the comment, that we both must have the same barber. At that time my hair was long and looked a lot like his, also I had a full beard that was shaped like his. We both had a good laugh. From Tyler, Texas, rest in Peace Southern Gentleman. Sonny you were the sweetest person I have ever met. I remember one time at the post office In Hackleburg I saw you and your wife Doris and at the neighbor day festival in 2009 the 100th anniversary of the town. Now I send my prayers to your family at this horrible time rip Sonny James 1928-2016. In my opinion, Sonny James has a very unique voice. A voice that you never tire of listening to. Along with a great voice he has mastered the guitar that blends with his voice that come together for a wonderful sound. From his very first hit, you knew that this voice is special. I saw Sonny and band all perform in Wilkes County NC in the early 80s with Crystal Gayle. I still have my autographs from that show and I just wanted to say hello to Sonny and I hope your doing great. From Germany all the very best for 2016! My son gave me a record-player for Christmas, so after 20 years or more I listened to my old Sonny James` albums. One of the first country songs I ever heard (in the 1970`s) was “When the snow is on the roses”, and from that time on I was a Sonny James fan (maybe – as I often thought – the one and only here in Germany). Back in the 70`s you hardly got country records here. So one of my greatest treasure is the album “200 years of Country Music” that a teacher of mine brought me from a trip to New York in 1976 – almost 40 years ago! And I still love it. Thank you for the music! I was just going through some old song sites and it caused me to wind up here. I was a senior in high school when Young Love came out and has been a top favorite ever since. While I see Web sites talking only about that song, you have had so many I have enjoyed through the years, including one called perhaps, “Till the Last Leaf Shall Fall From The Tree,” another one that strikes familiar chords deep down, just as Young Love still does. Thank you, Sir for the wonderful memories. The re-vamp of this website has added so much more that fans like myself did not know about Sonny. It is a joy to behold and it will take me a few weeks to read and look at everything. Excellent job!!!!! Please tell Sonny that his long-time friend, Bonnie Smith, from Salisbury, NC, passed on 8/28/15. This is her brother, Tom Lowman, who misses her very much. She took me on a tour with Sonny, Loretta, Wilburn Bros, Porter Wagoner, George Jones, and others in 1967. I was 15 at the time. Bonnie drove all the way to Eastonalla, GA before we had been on the tour for about a week. Your band inspired me to have one of my own someday. I still think about Jimmy Fox and Milo (bassist). In the 70’s, I started learning in country music bands but migrated to Carolina beach music and classic rock and some original tunes. Thanks Sonny for your inspiration to Bonnie and me! I have been a fan of yours pretty much all my life. I began playing guitar and 5-string banjo at six. My dad insisted that we learn different styles of music so we would be able to play with just about anyone. And he was right. One of the guitar styles I wanted learn was the one I heard you play, and I learned. I always love the sound of your guitar. Your guitar had an unusually great sound. So I looked and looked into I found one that sounded as close to yours as possible. Have been listening to your music since I was 13 years old. I was in your fan club when Wanda Jones was president. Got to know her pretty well. My dad recently passed away and growing up we would play christmas albums while decorating the christmas tree. Since my dads passing, I am reminiscing while listening to Sonny James christmas album. My Christmas Dream. I really miss my dad but I have all of his favorite country music to enjoy. What a wonderful career you had, and with one song –“Young Love” — that I’ve always held in particularly high regard since the day you performed it at Arlington (Tx.) High School in 1957. A great song and a memorable evening for a high school freshman. I’m 37, and the only surviving member of my Immediate family , so i have no one to ask, but growing up my grandmother, Nora Dell Hill, who was a songwriter, always told of an afternoon her and my grandfather Berkley Hill, who sang with the Haleyville Melody Boys and my mother all spent at your house. I may be remembering wrong but it seems that maybe my mom sang and it was recorded. Anyways, with no one left to tell those old stories, I guess I just try to cling to any of the memories of them. I am a big fan of your music and have many of your songs on my IPod/IPhone. I was just wondering why my favorite song of yours “A Little Bit South of Saskatoon” is not on ITunes? I would love to have it on my IPod. It brings back such great memories of the 1970’s for me. Sonny Im 17 years old and I’ve always been a great fan of yours. God Bless you and thanks for the great music. Hello, my grandmother, Evelyn Beeson, recently passed and when I was cleaning out her apartment I came across letters and a bunch more memorabilia. It appears she was his fan club president. The pictures are from between 1958 till about 1964. Just wondering if you could pass it along to him that she had passed. Thank you. Hi. I’ve always loved your music. My father Lynn Pixley used to sing with you and Marty Robbins. I found an old newspaper clipping when I was looking through our old pictures. It said you recorded a song my father wrote. It was called “She Done Give Her Heart to Me”. I found it on one of your CDs. It was also recorded by Eddie Cochran. On your cd it says Lynn Pixley wrote it. But on eddies cd it says you wrote it. I was just wondering why. Papa (Lynn Pixley) always loved your music and you. Reply from SonnyJames.com: I will ask Sonny about this next time I speak with him but my guess would be the Eddie Cochran CD you noted is simply incorrect in what was printed. God bless you and your family. My dad, I V (Pete) Gosa from Sulligent played with your family band when you were known as “Sonny Boy Loden”. Reading your BIO I saw mention of the Eddy Hill show, My uncle, Johnny Sorrels played steel with the Garret Snuff Boys. 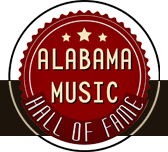 You are a Legend and will long be remembered in Alabama music. I had the honor of meeting your parents at the store in Hackleburg and so glad the store survived the Tornado. Reply from SonnyJames.com: Your comment was a lovely story to have shared. So much rich history indeed!